Teva has launched the TevaSphere collection, which feature a spherical heel and pod-arch system designed for outdoor runners. According to Teva, the new design is the most stable running shoe on the market, and provides the best braking to acceleration ratio around. The range will launch in March 2013, initially as a Cotswolds exclusive, and is based around three products in different colourways for men and women. They consist of the lightweight quick-dry TevaSphere Speed (RRP £90), the waterproofed TevaSphere Trail eVent (£110) and the mid-cut height TevaSphere Trail Mid eVent, which will retail for £120. 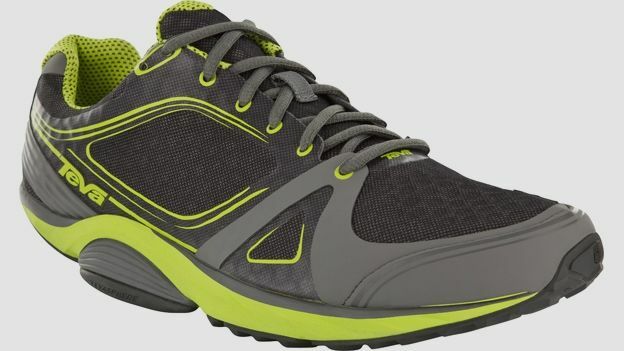 Teva spent more than four years developing and testing the TevaSphere technology, refining the design of the spherical heel, which lowers the runner's point of contact with the ground and reduces leverage compared to bulkier, squared-off heels and over-cushioned insoles of other athletic shoes, the company claims. The company said that the pods act as a 'guiderail', that prevents acute pronation or supination, while remaining neutral for runners that don't require corrective technology.